PandaTree was inspired by my kids. As Mandarin Immersion students, they needed to practice at home but I don’t speak Mandarin. I managed to find a tutor in Beijing to do Skype sessions with them. Talking with other parents, I learned they too were looking for a safe and convenient way to help their kids get foreign language practice. PandaTree was born. 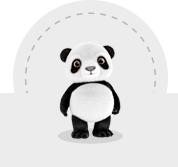 We’ve built PandaTree to be fun and engaging. No drills, no flashcards. Learning happens the natural way – through conversations with interesting people. It's designed to be something our kids – and your kids – will enjoy. We’ve also loaded it with parent-friendly features – like easy scheduling, progress updates and a PandaTree money back guarantee. Becoming fluent in a second language is a gift for life – it grows your brain, creates opportunities and it's fun. We're here to support you and your kids on this enriching journey. Kristina started PandaTree to help kids become fluent in foreign languages. 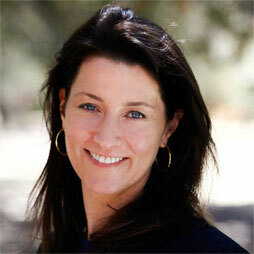 Prior to PandaTree, Kristina worked for 11 years at eBay Inc., one of the world’s largest online marketplaces. There Kristina held a number of leadership roles in corporate strategy, product management, trust and safety and marketing, and served as chief of staff to the President of eBay Marketplaces. Prior to eBay, Kristina worked as a management consultant at McKinsey & Company in Toronto and San Francisco for 8 years serving ecommerce, retail and financial services clients. Born in Toronto, Kristina holds an Honors in Business Administration from the Ivey School at the University of Western Ontario, and a Masters in Business Administration from Harvard Business School, where she was a Baker Scholar. For fun, she is currently enrolled in a part-time Masters of Liberal Arts program at Stanford University. Kristina has two daughters who are learning Mandarin. 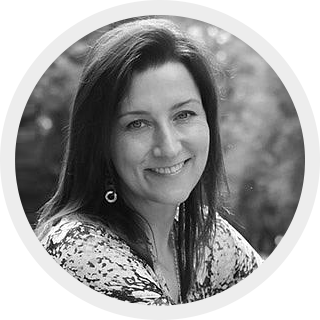 In her spare time Kristina enjoys travelling, practicing French, doing yoga and hiking with her kids and dog. As Head of Product for PandaTree, Rich is responsible for building an experience that is fun, easy and intuitive for parents, students and tutors. Prior to joining PandaTree, Rich had a wide range of professional experiences. 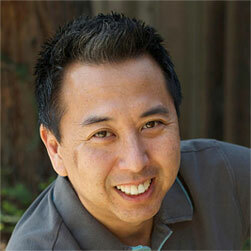 Most recently, Rich was CEO of Crowdera.co, a crowd-funding site for social good. Before that, Rich was at eBay, Inc. for 8 years, where his roles included Director of Global Seller Trust, Feedback and Seller Protection and Product Management for Selling Tools, amongst others. Rich also served as information architect and web strategy consultant at Cisco for over 3 years. Along the way, Rich has been involved in a number of startups as a founder, developer, and a builder of awesome products for small businesses and parents including Zangle, RockTide, and Novalogic. Born in San Jose, California, Rich has a Bachelors of Liberal Arts/Advertising from the University of Hawaii, with additional coursework in computer science and programming. Rich studied Spanish for 4 years, and knows the value of speaking the language in a casual environment. Rich loves to BBQ, golf, and go on trips with his wife and two daughters. He’s also a weekend inventor and likes to tinker with things to make life easier - usually having to do with BBQ. Mingyu is our Senior Manager of Tutor and Content Development. She is responsible for setting the strategy for the content used in PandaTree sessions, and for assessing and coaching tutors. 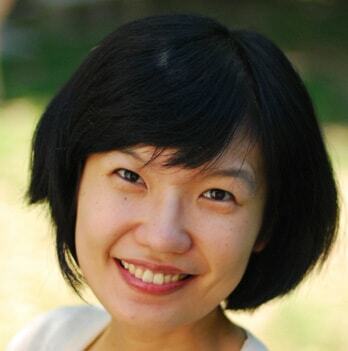 In addition to her work with PandaTree, Mingyu is the Director of the Language Resource Center (LRC) at the University of Wisconsin, Milwaukee. Previously she has worked as a Technology Specialist in the Language and Culture Learning Center at the University of Illinois, Chicago and as a Research Member at the Natural Language Processing and Knowledge Discovery Lab at Michigan State University. Mingyu was raised in Hefei, China and attended HuaZhong University of Science and Technology (HUST), Wuhan, China, graduating with Honors in the top 1% of her class. She holds a B.A. in Foreign Languages from HUST, a Masters in Corpus Linguistics from HUST and both a Masters in Computer Science and a Ph.D. in Linguistics from Michigan State University. Mingyu is a regular presenter at national and international language conferences, including at the American Council on the Teaching of Foreign Languages (ACTFL) and the Chinese Language Teachers Association (CLTA). Presentation topics have included technology tools for language classrooms, designing online Chinese programs, and developing multimedia materials that students enjoy. Mingyu has published numerous articles and papers, and is the recipient of a dozen grants and awards for her academic work, including a grant to research a Student-Centered Smart Classroom for Languages. In her free time Mingyu loves to take her two children to new places, play cards with friends and cook for everyone. Chien-Yu grew up in Nantou, Taiwan. She earned a Bachelors of Arts in Foreign Languages and Literature from the National Taiwan University followed by a Masters degree in Education Psychology and Counseling from the National Chao Tung University in Taiwan. To continue her studies, she moved to the United States and earned a PhD in Curriculum and Instruction from the University of Maryland in College Park, MD. Chien-Yu also holds a Certificate of Teaching English in Secondary Education and a Certificate of Teaching Chinese to Speakers of Other Languages (TCSOL). In addition to her work with PandaTree, Chien-Yu currently works as an instructional designer, developing online training materials for DMS International in Maryland. She also teaches Mandarin part-time at the Raleigh Chinese Language School. Previously, as a graduate student at the University of Maryland she supervised Mandarin teacher interns. She has also worked as an English-to-Mandarin translator for the Taiwanese Ministry of Education, translating educational news from the United States. 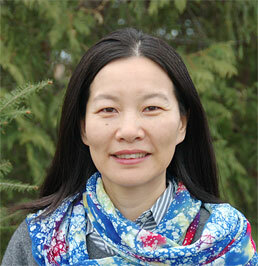 Chien-Yu has co-authored a number of academic papers and presented at conferences, with much of her research focused on second language reading strategies and reading comprehension. Chien-Yu lives in North Carolina with her husband and two young children. For fun she enjoys travelling, jogging and reading.